Appeared in Shoreline Area News	on June 7, 2016. Posted on June 7, 2016 June 9, 2016 . Solarize Shoreline is an initiative to bring solar energy to homes and businesses within the City of Shoreline. It is a limited-time campaign designed to help homeowners and small businesses purchase solar electric systems with a streamlined process and group discount. Solarize Shoreline is a collaborative effort of Northwest Sustainable Energy for Economic Development (Northwest SEED), City of Shoreline, and a team of community volunteers. Registration is now open for the workshops where residents can learn more about the program. Appeared in SnoValleyStar.com	on March 3, 2016. Posted on March 3, 2016 April 20, 2016 . Snoqualmie Elementary School is the recipient of a new solar power system thanks to the “Solarize Snoqualmie” initiative’s success. As part of the initiative, the City of Snoqualmie and NW Wind and Solar agreed that the company would donate 1-kilowatt per 10 contracts signed for residential solar panel installation. 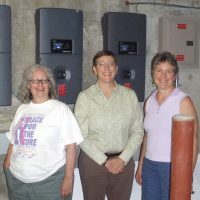 To date, 38 households have signed up, meaning the proposed system is 3-kilowatts, but has the potential to expand to 4-kilowatts if two more contracts are signed by March 31, wrote Associate Planner Nicole Sanders in an email. A 4-kilowatt system would offset more than 104,000 pounds of carbon dioxide during its first 25 years of operation, according to a city press release. Appeared in The Woodinville Weekly	on January 25, 2016. Posted on January 25, 2016 May 5, 2016 . Woodinville residents will have a way to get solar power installed cheaply and easily, and the first chance to get involved is this week. The project, called Solarize Woodinville, will be managed by the nonprofit Northwest SEED (Sustainable Energy for Economic Development.) The first Solarize campaign was started by a grassroots group in Portland, and now Solarize campaigns have spread across the country. Northwest SEED has completed 18 Solarize campaigns resulting in more that 800 installations of solar panels, said Jill Eikenhorst, project coordinator for Northwest SEED. Eikenhorst spoke about Solarize Woodinville at last week’s City Council meeting. A Solarize Woodinville Campaign Training and Kickoff will be held Thursday, Jan. 28 from 6-9 p.m. at 21 Acres in Woodinville, located at 13701 NE 171st Street. Anyone who’s interested can RSVP to jill@nwseed.org or 206-457-5403. The meeting is open to all in the 98072 and 98077 area codes, but is primarily geared toward people who want to serve as organizers, or solar ambassadors. Appeared in The Register-Guard	on December 7, 2015. Posted on December 7, 2015 April 19, 2016 . To qualify for the credits, which save taxpayers money, the systems must be installed and operating by the end of next year, said Steve Mital, sustainability director at the University of Oregon. A year from now may seem like a long time, but it can take several months to select a system, hire a contractor, get permits and have the solar unit installed, he said. The federal solar income tax credit was enacted in 2005 and renewed by Congress three years later. Solar industry supporters worry that the Republican-controlled Congress will not renew the credit for residential systems, allowing it to expire at the end of next year. The tax credit for commercial systems will remain, though it will drop to 10 percent from 30 percent by 2017. There’s another reason for homeowners to give solar energy immediate attention: If they attend a solar workshop on Monday, they could save 10 percent on the installation, or about $1,200, on a typical residential system compared to what it would cost if they purchased one on their own, Mital said. The workshop, at the University of Oregon, is being offered by Solarize U, which was created by Mital’s office and is managed by Northwest SEED, a nonprofit organization that promotes clean energy in the Pacific Northwest. The event is free, but registration is required. Appeared in Around the O	on December 1, 2015. Posted on December 1, 2015 April 20, 2016 . So many people have been interested in a UO-sponsored rooftop solar panel offer that an additional workshop has been scheduled for those who want to get in on the deal.The extra Solarize U meeting will be held Monday, Dec. 7, at 6 p.m. in Room 182 Lillis Hall. See the program website to register and for more details. Solarize U is a program that allows UO employees and Eugene-Springfield residents to take advantage of a discount on rooftop solar panels through an expedited process that can have the power-generating panels installed in a fraction of the time it typically takes. But participants must attend a workshop where the program is explained in order to take part. Four workshops in October and November drew packed houses, prompting the additional session to accommodate the interest, said UO sustainability director Steve Mital. Appeared in Around the O	on October 12, 2015. Posted on October 12, 2015 April 20, 2016 . You can’t run your alarm clock on sunshine daydreams, but you can wake up to a solar-powered home thanks to a new program that gives members of the UO community a good deal on rooftop photovoltaic panels.Known as Solarize U, the new program is aimed at boosting the number of Eugene-area homes generating power from the sun. It combines discounts with an expedited process that can have solar power flowing to a home in a matter of months instead of the year or more it typically takes. The program was created by the UO’s Office of Sustainability and managed by Northwest SEED, a nonprofit group that promotes clean energy in the Pacific Northwest. The group works with local solar panel installers to negotiate a group rate and develop a streamlined design and installation process and then offers a special deal to community members. Steve Mital, the UO’s sustainability director, said rooftop solar is to energy what gardening is to agriculture. Since 2006, Washington State has offered electric customers an incentive for producing, clean, reliable renewable energy — such as solar. This program has encouraged over 7,000 residents and businesses to invest in and install solar in their communities. Utilities administer and pay this state incentive to customers. In exchange, the utilities receive a tax credit equal to the incentive payments made. This credit is capped at .5% or $100,000 of a utility’s taxable power sales and payments to customers are calculated on an annual basis. For more details on the program, go here. Appeared in Snoqualmie Valley Record	on September 10, 2015. Posted on September 19, 2015 April 20, 2016 . Now, more than any other time, might be the best opportunity for Snoqualmie residents to install solar panels on their homes. The city of Snoqualmie is partnering with Northwest Wind and Solar and Northwest SEED (Sustainable Energy for Economic Development) to bring affordable installations of solar energy systems to the community. Multiple incentive programs are currently running, which add up to approximately a 50-percent discount after the first year. Nicole Sanders, Associate Planner for the city of Snoqualmie, said that the limited availability of these incentives are getting people to look into solar more actively than ever before. The way each incentive has stacked on the other has made this an enticing opportunity for many community members. began organizing and spreading the word about the program. Snoqualmie contracted the non-profit organization Northwest SEED to help lead the campaign. Jill Eikenhorst, Project Coordinator at the nonprofit, said they have helped other communities with solar projects and their experience has helped them work with Snoqualmie. Appeared in BikeWorks.org	on November 5, 2014. Posted on November 5, 2014 April 20, 2016 . The Bike Works community bike show on Ferdinand Street just got a whole lot greener. Last week, a stellar crew from Artisan Electric came in and installed a new solar array on the roof of the shop. On a sunny day, our electric meter runs backwards, meaning we are producing more electricity than our shop uses and are pumping that excess out into the power grid! Best of all, this solar electric system was FREE as part of the Solarize Seattle: Central/Southeast project! Edmonds, WA – Edmonds Lutheran Church (ELC) will receive a free solar photovoltaic system to generate renewable energy for their facility if 50 homes in Edmonds, Lynnwood, and Mountlake Terrace purchase a solar energy system through the Solarize South County campaign.